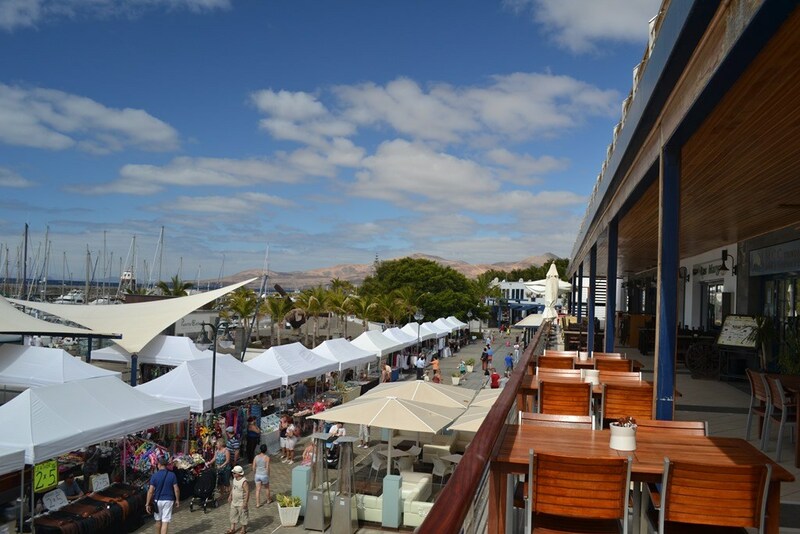 Today we want to present to you one of the most popular activities in Lanzarote, ‘Los Mercadillos’. 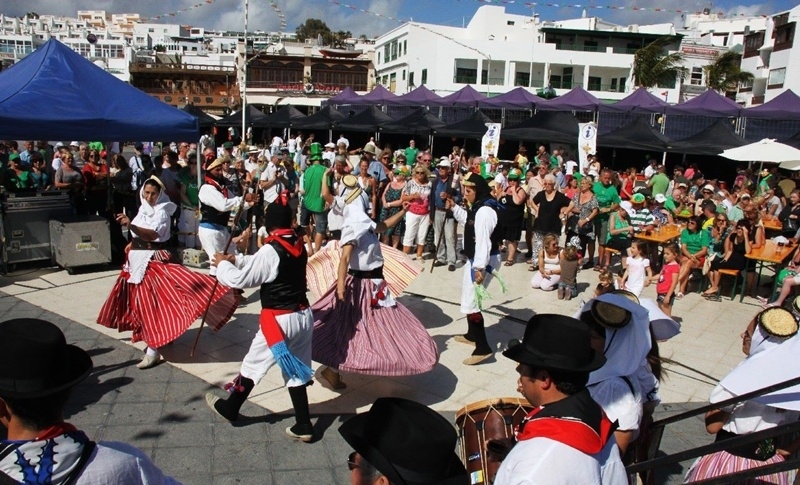 We have made a selection of the 5 most popular and traditional markets in Lanzarote. This activity is a wonderful option for those holiday mornings. Almost every day you can find a market in Lanzarote, in one of the different municipalities full of different items. A pleasant and entertaining trip that will allow you to get to know better the culture of this wonderful island. The markets offer fine craftsmanship made by lesser known artists on the island that not only create traditional items but also use traditional techniques. You will be able to find small sculptures made of mud, which is part of the Guanche style (culture of the aborigines who inhabited the Canary Islands previously). You will also find a wide variety of other items such as: jewellery, household items, and small ornaments made from lava and olivine, a precious bright green mineral that is embedded in the malpaís, the land made from volcanic lava. 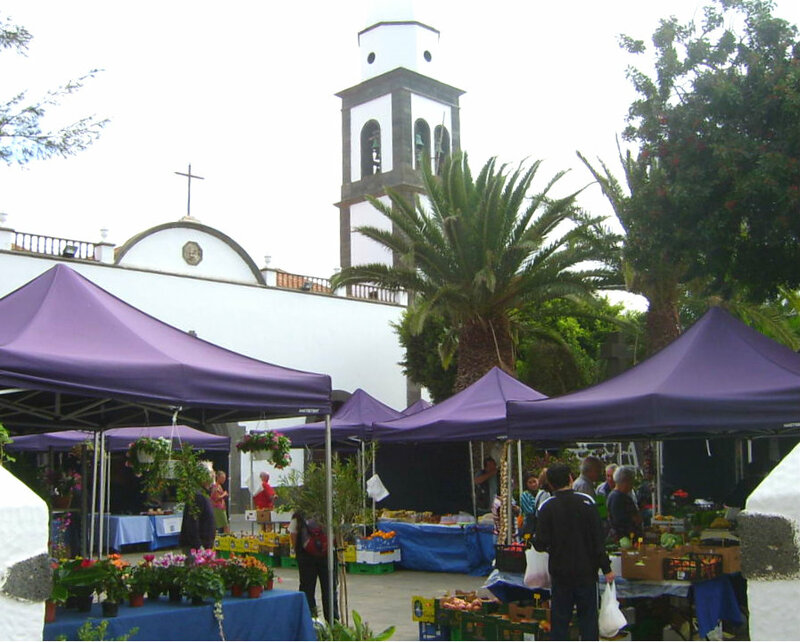 The markets are also full of stalls with a varied range of produce from agricultural and livestock farms, where farmers present their fresh ecological produce and you will find the famous ‘arrugadas’ potatoes (famous wrinkled potatoes), homemade mojo (typical Canarian sauce), vegetables, fruits, cheeses, spices, wines and much more. It’s certainly a delight for the senses and for lovers of traditional food from the island. Among the variety of products, the textiles, made with organic raw materials and the traditional fashion at very competitive prices stand out. It is also an ideal place to find gifts and buy your souvenirs. Don’t miss out on this activity! It will help you to get to know a little more about life and the culture here in Lanzarote. Next, we provide you with the list of our favourites, with the 5 most popular street markets in Lanzarote organised by zones, products and days in which they are celebrated, so that you can choose which one suits you best. Although visiting a couple of them to get a wider appreciation of Lanzarote is without a doubt the best option. Opening hours: every Saturday from 9:00 am to 2:00 pm. Products: Great variety of fresh agricultural produce. Opening hours: every Tuesday and Friday from 9:00 am to 2:00 pm. Opening hours: every Friday from 10:00 am to 2:00 pm. Location: Plaza de El Varadero de La Tiñosa. 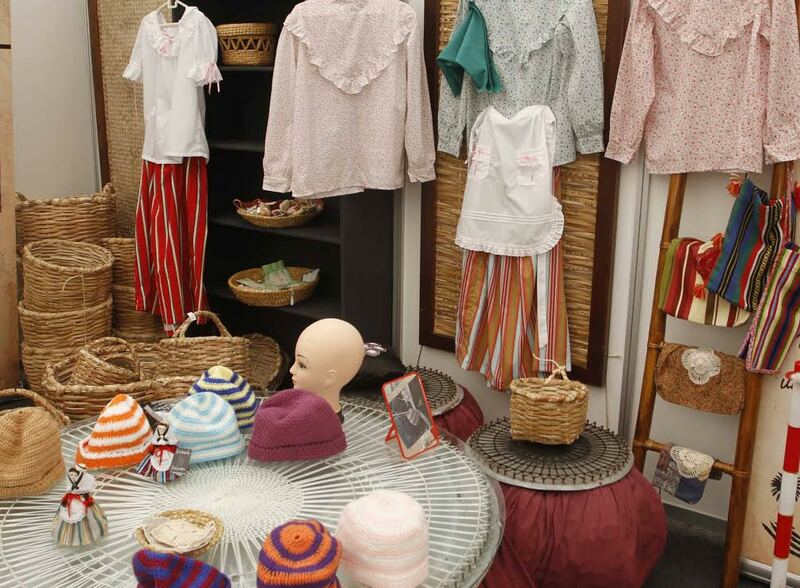 Products: Local products, Crafts, Tourist entertainment. Location: Plaza de Las Palmas, also known as the Plaza de la Iglesia de San Ginés. Opening hours: every Sunday from 9:00 am to 2:00 pm. Location: Historical centre of La Villa de Teguise. Products: Agricultural products, crafts, natural and ecological products, jewellery and trinkets, wines and cheeses, fast food, clothing, etc.